Coliba is a young company with strong growth potential that focuses on waste collection and recovery through a mobile application. It works in the city of Abidjan, especially as users are rewarded. According to Yaya Kone, the co-founder of Coliba, everything starts from a trip he makes with the German association Ampion (which promotes sustainable development, editor’s note) in 7 countries in West Africa. Everywhere, he notes that the main urban centres are crumbling under plastic waste. In his country, Ivory Coast, more than 5 million tons are produced by households each year, only 10% of waste is recycled. The rest is found in the streets or in dumps like the one in Akouedo on 153 hectares in Abidjan. Many initiatives are underway to reduce waste on the streets. This is the case, in particular, with “waste selfie” which, having left Guinea to raise awareness of the problems of waste in the streets, is shaking on the African continent, but has not really achieved the expected objective. 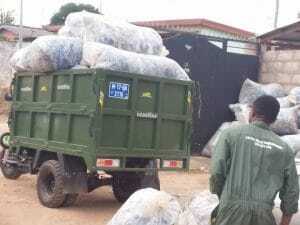 It is this observation which will push Yaya Koné and his partner Genesis Ehimegbe to explore the digital universe to put it at the service of waste collection in the city of Abidjan; that is how Coliba sees the daylight. In the city of Abidjan, the start-up is making more and more headlines. It has a mobile application and a messaging system to facilitate waste collection. To report a pile of garbage in a corner, the user presses a single button on the application. It is then geo-located and the company sends one of its 50 pre-collectors to collect the waste. In exchanges, the user receives points that are transformed into telephone credit, data for internet connection, vouchers, meal tickets, concert tickets or school kits “depending on the neighbourhood”. Coliba also works with several restaurants and hotels in the city of Abidjan where the company recovers waste. For Yaya Kone, “plastic bottles must be considered as raw material”. This is why they are then revalued. In the sorting centre set up by the start-up in Abidjan, women are busy selecting plastic waste. Yaya Kone explains this choice by the fact that they (women) are more exposed to poverty in her country. But the most important thing is that the sorted waste is then transformed into usable plastic. It is then sold to the “automotive, construction, textile industries” and many others. 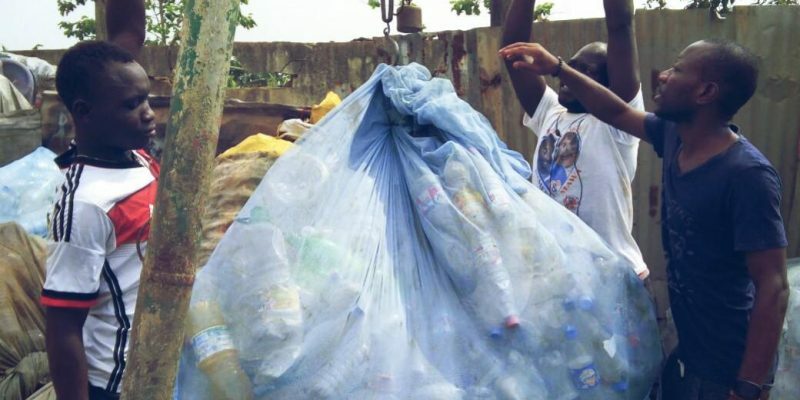 According to the National Agency for Urban Sanitation Agence (Anasur), the recycling market is very promising in Ivory Coast. It is estimated at 120 billion CFA francs, or more than 180 million euros. According to the same source, this sector could employ more than 10,000 people. No wonder then that the start-up wants to extend its activities to all cities in the country. It also has the ambition to establish itself in other African countries such as Togo, Nigeria and Cameroon.